At the beginning of this month, I decided to cut gluten from my daughter’s diet. She has a few signs of being gluten intolerant and I wanted to head off any long term issues by being proactive now. Problem is, she and I both have quite the sweet tooth, and, well, most delicious treats are packed full of gluten! So, what to do? What to do? I didn’t want her to feel the loss of gluten as we adjusted her diet. Being 5 years old is hard enough without worrying what you can and cannot eat. So, I set to work finding acceptable alternatives, especially in the dessert department. 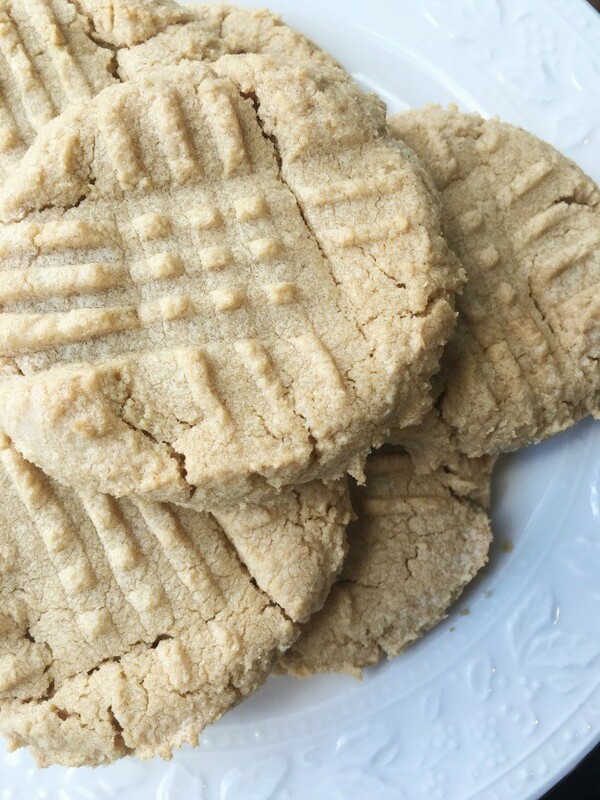 These peanut butter cookies were just the ticket! And they are simple to boot! With just 3 ingredients it’s easy to whip this dessert up in no time at all! In a medium mixing bowl, cream together 1 egg and 1 cup of sugar. Once blended well, mix in 1 cup of peanut butter. Scoop onto a cookie sheet and gently press with a fork to make a cross cross pattern. Bake at 375 degrees for 6-8 minutes. Do you have a favorite gluten free dessert recipe? I’d love to give it a try … leave the link or recipe in the comments!